Transferred to the Archives in 1980 and 1984. The records of the Annenberg Center have been arranged alphabetically by the title. In 1966, the Annenberg School for Communications of the University of Pennsylvania decided to establish a center to house the University’s performing arts activities and communications research. 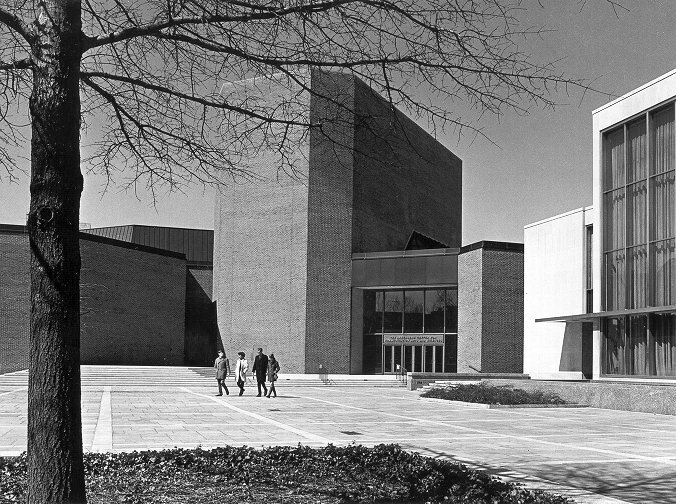 The new center, called the Annenberg School Center for Communication Arts and Sciences, was dedicated in 1971. Although the Center was conceived as a unit under the administrative direction of the Annenberg School with the Center’s Director of the Performing Arts as a member of the School faculty, both the Center and the School sensed over time that it would be more convenient for the Center to operate independently. In June 1975, the Center was finally separated from the School. It was first transferred to the Provost Office, and then to the Dean of the School of Arts and Sciences and in April 1976 to the Vice Provost for Undergraduate Studies and University Life. After the annual giving from Annenberg ended in 1978, the Center was required to support itself financially. In 1979, the University appointed a thirteen-member Board of Advisors for the Center, including the Provost and a Vice Provost, to assist the staff of the Center in promoting the theatre productions and fund-raising. In addition, the Board was to review the progress and needs of the Center each year. At the present, the Center reports to the Provost of the University. Financially, it depends on the University for part of its resources and obtains the rest either from the ticket sale or from its own fund raising. The collection documents the history of the Center in its early years. It includes records of the Council on Performing Art appointed by the University of Pennsylvania for the planning and organization of the Center, 1964-1979; correspondence of the Dean of the Annenberg School, 1965-1978; files of the Center’s managing director, 1968-1975; and records related to the unfulfilled Annenberg plan for a separate center for visual and electronic education, 1976-1977.